Seacoast Tree Care, LLC is seeking a Mechanic. 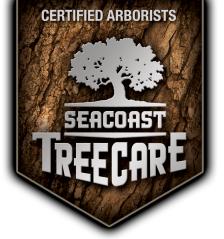 At Seacoast Tree Care we're dedicating to restoring, maintaining and conserving diverse landscapes throughout New Hampshire, Maine and Massachusetts. Applicant must have high personal standards for themselves and the company they work for and be comfortable working with the Seacoast Tree Care team to achieve the company’s goals. Hours: 40-45/week across 4 days, Wednesday - Saturday. Response to emergency events required. Performing annual preventative maintenance according to manufacturer's specifications and within the time constraints available . Performing emergency repairs to maintain maximum up time on equipment. Functioning as company equipment safety officer, ensuring all equipment is safe for operation. Establishing and monitoring systems to insure proper maintenance and cleanliness of all equipment. Performing modifications to equipment as needed and fabrications as necessary within reason. Performing winterization of trucks during off seasons and painting trucks as needed and within reason. Helping to maintain small engine machinery as needed and as applicable. Ensuring and instructing employees on how to operate all equipment and materials safely. Must know basic first aid procedures and maintain a shop first aid kit. Filling out accident reports and peforming all duties in the shop in a safe manner. Assist in production as needed and perform in log pickup or deliveries, stump grinding and potentially other miscellaneous low impact intensity services to assist in production goals of companies. Applicants must also conduct themselves properly in order to make good impressions on clients and prospective clients, the general public and others who are observing the mechanic whne applicable. Having a strong workmanship is a must. Applicant is also required to maintain neccessary certification and education to stay on top of industry developments. Must be fluent in diesel Electronic systems. Able to work with management and work crews to maintain a cost efficient, professional operation. Must be willing to be trained on the use of tree equipment where necessary to perform maintenance work, and maintain yard. Compensation based on qualifications and experience. Seacoast Tree Care offers competitive wages, medical, dental, and life insurance benefits, as well as 401(k). Pre-employment Drug Screen and criminal background check required. Seacoast Tree Care is an Equal Opportunity Employer. Please email resume.